Yes, you read that right. Cebuano Lechon here in the Lion City! This just got to be every Singapore-based Filipino's dream come true! It's true, Lucky Plaza has been there for ages and it has been our go-to place whenever we're craving for some home-cooked favorites but even after all those plates of adobo, laing, sisig or bopis, somehow the flavors still have not hit a perfect bull's eye. I often would think it's probably because I have a really picky sense of taste and the fact that my taste buds have been quite spoiled after all these years of being exposed to really good food back home. It sure reminds me of home, that's true, but there's just that lack of authenticity still, I guess. 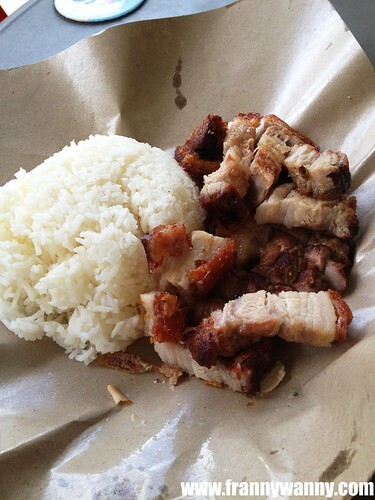 Then, a few weeks ago, I heard the news about a stall selling Cebuano lechon in Paya Lebar. A couple of bloggers began raving about it and even my friend D told me that she's excited to give it a try. Sounds promising! Finally, the chance to visit this side of town came when Paul and I had to do an early morning errand a few stations away and we saw this as a good opportunity to pay Iskina Cebu a visit. Located inside Jing Ya Yuan Eating House, Iskina Cebu shares the space along with an Indian stall, one that sells Mix Veg Rice and a huge drink station. The stall wasn't hard to spot as it occupies a bigger space at the far end. My only concern was that there were a lot of pigeons and black birds flying in and out trying to pick up scraps of food from vacated tables. It really freaked me out! As we were waiting for our friend B, whom we invited to join us for our lechon lunch, I couldn't help but watch the very able lechonero chop the tender meat and crunchy skin in such swift, well-coordinated manner. We got there past 12 on a Saturday yet there was a growing queue of customers. Some were working in the same building, others were visitors like us who chose to spend their day enjoying some lechon. I guess, I've been staring at the staff doing their work way too long that the lechonero offered some chopped up skin for me to try. It was deliciously crunchy and salty just the way I love it. Suddenly, wonderful memories of home and previous trips to Cebu came rushing in. Finally, B arrived and we quickly joined the queue to ensure that we still get to have some of those delicious lechon. Paul and got the Lechon de Cebu Rice Set (S$10) and the Liempo de Balamban Set (S$6) while B followed Paul's lead and got his own plate of Lechon de Cebu too. 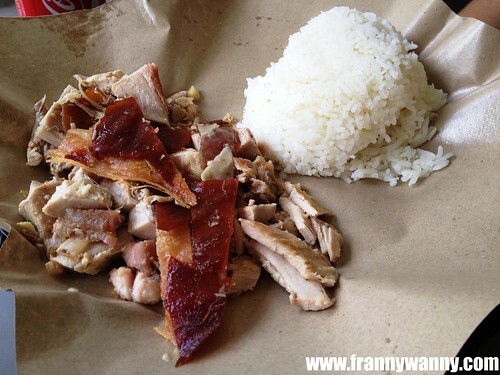 The Lechon de Cebu Rice Set came with a good amount of tender lechon meat and crunchy skin. Of course, no lechon is complete without its dipping sauce which the boys made sure we got a lot of. Okay, let me focus on the lechon first. The meat was spot on tender with a salty kick. If you ask me, this is how I love my lechon to be. There was indeed no struggle in every bite and I was so happy that they gave me the part near the ribs which, for me, is the tastiest part of all. In fact, I didn't use much of the dipping sauce as I was very happy with the flavor of the lechon on its own. As for the boys, they love covering their meat with the sauce, I have to admit though that we still prefer the traditional Mang Tomas lechon sauce which we're all familiar with. This one was quite weak in flavor and it had a slight spicy kick which was perhaps created to suit the local taste. Please serve Mang Tomas..pretty pretty please! 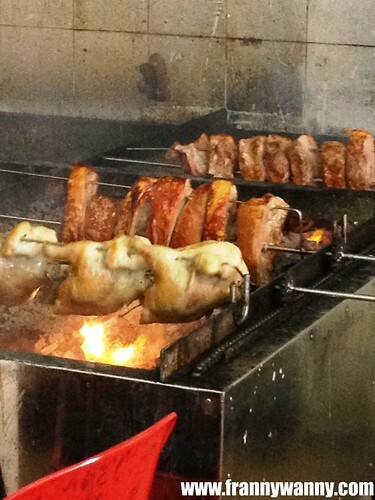 As for the Liempo de Balamban, the pork was also very tender and perfectly grilled. The flavor was milder than the lechon but we were pretty much expecting that. Of course, it wouldn't be fair to compare the two right? On it's own, the liempo did a marvelous job in terms of authenticity as well. It would have been perfect though if the skin was crunchy. Nonetheless, both Paul and I enjoyed this plate too. The best way to enjoy your plates of lechon or liempo is to have it with a cold can of soda or a chilled glass of beer. Judging from the regular customers who frequent Iskina Cebu; I'm so happy that finally, more and more people are starting to appreciate the local Filipino cuisine. I can't wait for them to expand and have more branches around Singapore and hopefully to offer more Filipino dishes too like bopis, sisig, chicharon and perhaps sticks of pork bbq too. While I'm still on my search for some tapsilog here in the Lion City, knowing that I have Iskina Cebu to run to whenever the craving for good authentic lechon strikes again. Take the MRT to Paya Lebar (Circle Line). 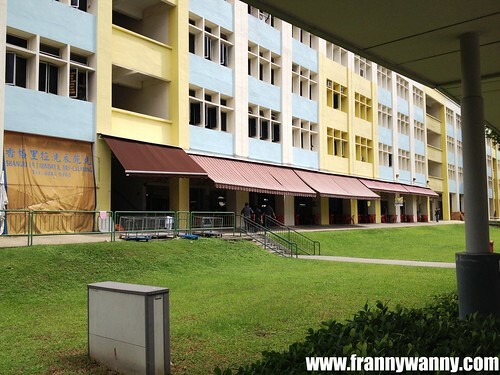 Go to exit C and walk towards the bus stop, you'll see Block 1016 right away. p.s. Be sure to go early as they have very limited stocks of lechon on a daily basis. I recommend for you to go during lunch or really early dinner. 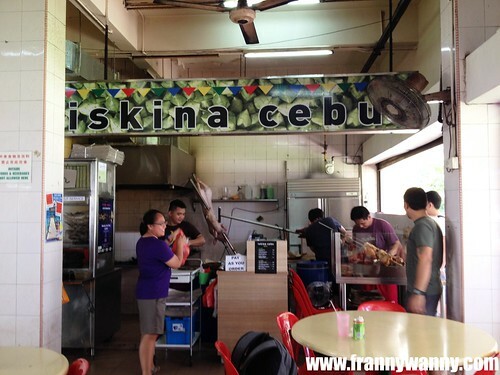 Iskina Cebu is located at Blk 1016, Geylang East Avenue 3, Singapore. Wow! This is great news! I'll be visiting SG in Nov with my family. Hope to have a meal with you while I'm there! I definitely wanna visit this lechon, too!